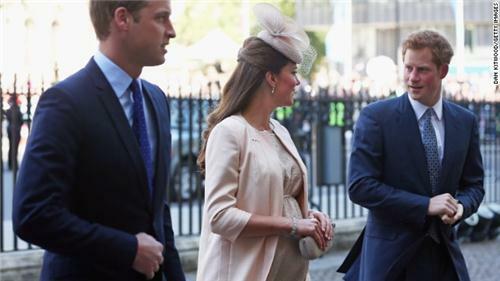 As the Duke and Duchess of Cambridge prepare to welcome their bundle of joy into the world, CNN has the latest details of this momentous occasion. Follow our live blog as we continue the baby watch as well as details released from St James's Palace on the future heir to British throne in addition to interviews, videos and interactives. 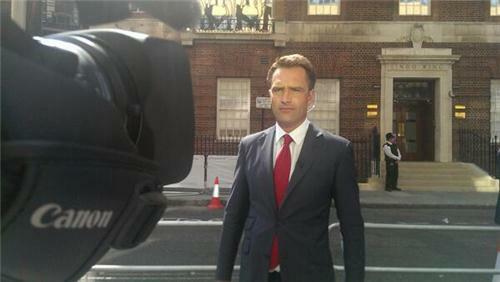 CNN's Atika Shubert, outside the Lindo Wing of St Mary's Hospital in London, reports a "Flurry of excitement as cars with "security" pull up to Lindo Wing. Wills+Kate? Not quite..."
A (future king or) queen is never late, everyone else is simply early. I AM SO EXCITED WAITING FOR ROYAL BABY TO BE HERE. We hope the Duchess of Cambridge deliver safely and she gets a baby boy GEORGE. Excited for the royal couple. Boy or girl? Please let us know quick! I'm so excited the Royal baby is being born on my Birthday!! 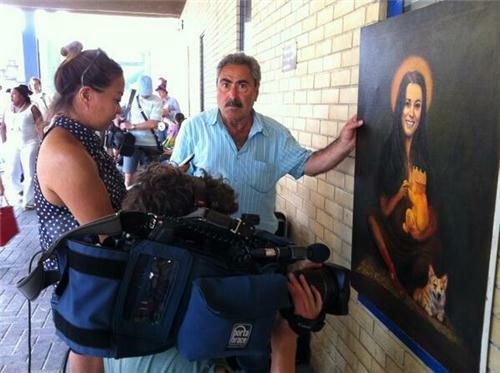 I hope it's a girl and looks like Princess Diana!! Marie is not the only one who will share the royal baby's birthday -- if it arrives before midnight, the new arrival will celebrate alongside actors Danny Glover and Terence Stamp, singers Don Henley and Rufus Wainwright, and Jeopardy! host Alex Trebek. For more detail on how the announcement will be made, check out our Q&A. I hope it's a girl too and that she looks like Diana! However, girl or boy it does not really matter. I wish Kate and William the best and many blessings for all three! On July 22, 2013 the Heir to the Throne of UK will be born. May He be the role model for our next generation. May he be filled with good health and wisdom. May he bring unity and peace among nations. Long live the King!. I don't have a son so I wish Duchess of Cambridge a son. CNN is live in the London sunshine bringing you the latest updates as details emerge. 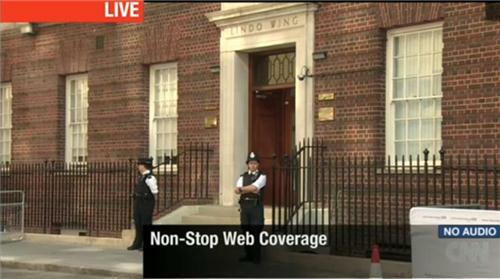 Click here to watch the live stream from the Lindo Wing. And click here to see what's happening outside Buckingham Palace. Hurry and arrive baby Prince or Princess...Canada is waiting !! royal-related baby toys and souvenirs. CNN's Isa Soares filed this report. Why did the video get blacked out? I am so excited for this royal baby! 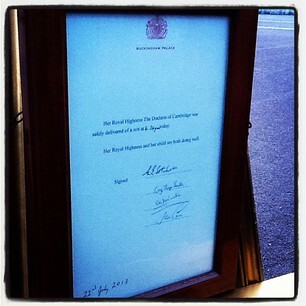 :) Congrats to the Duke & Duchess of Cambridge. Speculation has been rife about mom-to-be, the Duchess of Cambridge since her pregnancy was announced. 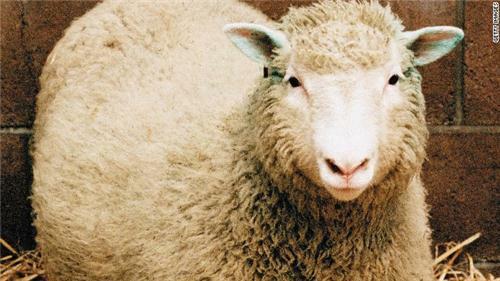 She certainly wasn't a gossip magazine staple but when Dolly the Sheep was born in 1996 it was definitely among the world's most closely-watched. Congrats to Kate and William from The Netherlands!! History in the making! Best wishes to the Cambridges and the Royal Family on this historic day! Super excited! Congratulations to you both, Will and Kate! You will be the most fantastic parents!!! VIDEO: There is often a lot of discussion around what the royal family actually does. Peter Phillips, Queen Elizabeth II's eldest grandchild, talks to CNN about the reality behind a royal up-bringing and his hopes for the new heir. What is this whole big fuss about? To those of you that say, "Who cares? ", "Why should anyone care? ", I have a suggestion you may wish to heed... Stop reading the articles, mute your tv, and let those of us that DO care enjoy this momentous occassion. As someone from the UK, this is creating a great buzz, good news should be welcomed, yes its just a baby, but a royal baby, that is something I as a royalist LOVE !!! I didn't care until I realised the baby is going to be the head of state of an old Western democracy and 16 commonwealth states.It is a big deal! So happy for the Royal couple. Some of us in the USA do care....we're so excited for them and Britain. Hope it's a girl! William and Kate are a lovely couple, and the baby is going to be just gorgeous!! 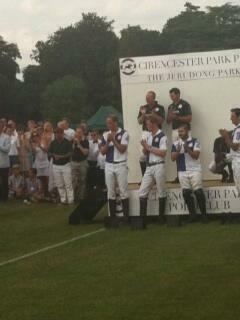 CONGRATULATION WILL AND KATE. representing from COUNTRY CALLED "NEPAL"
So far, we don't know what name William and Kate have chosen for their baby -- the official bulletin announcing his birth reveals the time he was born -- 4.24pm, local time -- and his birth weight -- 8 pounds 6 ounces -- but keeps his name a mystery, for now at least. In the past, it has taken a week or even longer for the name of a royal baby to be made public. It is thought that this time around, the baby's name may be announced when William and Kate leave the hospital with their son, which won't be until at least tomorrow, and may be several days away. Until then, you can keep having your say in our poll. Congratulations from Canada! I am very happy for you both. I love the Royal Family.